Full disclosure: I am not a developer nor a designer — I’ve been in business ops for most of my professional career. That said, I’ll give myself a dose of credit: I’ve been in tech for years, start-ups and well-established alike. During that time I’ve seen that when it comes to mobile, one thing is consistently fueling a successful app — whether aimed at mobilizing a workforce or driving loyal customers back, apps must always be ready to provide utility in a moment of need. No exceptions. This morning I woke up at 5 to the sound of torrential rain. While usually, I would dig myself deeper into my blankets, today it forced me out of bed at a much earlier hour. As it turns out, the night before, my wife detected some water coming into the basement, and I had a feeling it was not going to be a pretty sight downstairs. I grabbed my phone to kick the lights on around the house. That’s when I noticed my phone was at 75% charge. Strange. It was vexing enough at such an early hour, that after swiping around for a few tired seconds, I forgot to turn the lights on. I stubbornly walked in the dark and guided myself through the house by carefully feeling out the usual milestones — edge of the bed, door frame, banister, and finally the kitchen light switch. “Damn!” The power was out, and now I had a soaked basement and no light to resolve it. When things start failing at home, people like myself try to find help in the quickest, cheapest, and most accessible solution possible. For the water, it took shovels, mops, and wheelbarrows. As for the power outage, I had to go through a web-portal, find a billing statement to get an account number, and finally after going through some more personal identification prompts, five minutes later, I was reassured to see a team had been dispatched to fix the problem. Keeping demanding customers like myself pleased takes some finesse. While I have to give props to my utility company for giving me a five-minute solution, the rising water was not exactly being resolved as I was searching for web-access. Deploying the kinds of mobile management tools that customers crave sometimes go hand-and-hand with the tools that can enable a workforce to act faster, give prompter updates, and resolve more issues in less time. Yet, if these tools don’t exist, it’s alright. Rome wasn’t built in a day after all. 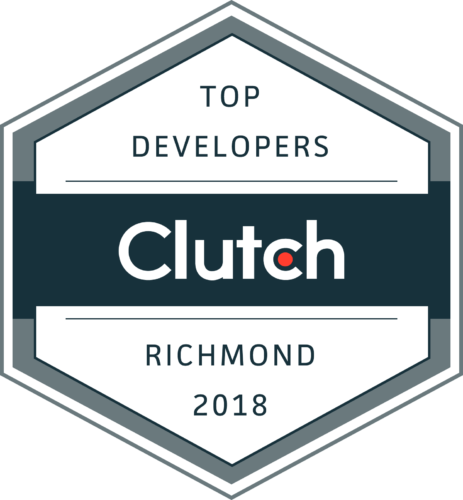 At Shockoe, we’ve done everything from overhauling pen & paper methods and building mobile ecosystems from scratch, all the way to optimizing legacy systems and tapping into API’s to deploy better user experiences. That said, we believe there is a right way to move from antiquated systems, and a measured means of building out tools that can improve your overall service, empower your workforce, and ultimately give customers with flooded basements, the 30-second solution they truly needed. If you’re starting from scratch, start internally. Typically your team will be more forgiving than your customers. Figure out what information has been missing as technicians work in the field to complete tickets, receive orders, or communicate with HQ. Regardless of what it is, keep your vision clear, uncomplicated, and unobstructed. Most importantly, keep your metrics measurable and your data visible in a way to demonstrates efficacy to your deployment. Route Mapping: Optimize the travel path between stops by providing real-time directions and automatically tracking time at each stop. Messaging and Feedback systems: Enable technicians to send notes, photos, and videos back to supervisors or other technicians for feedback, advice, and training. Repair/Service Supplies: Enable technicians to keep track of inventory and supplies riding with them on the truck. When technicians use items, build an app that keeps track of how much. And when supplies, run low, have the system push a notification (I encourage reading our node.js blog post on how to best do this) to restock the next time they’re parked at HQ. The key to step one is to make sure you get buy-in from your team by delivering a product that truly saves time and delivers the utility that encourages them to use it time and time again. Necessity drives innovation. A tool that is simple will eventually reach a threshold where it must either be built out further or run the risk of feeling limiting to your team. Build on what works, and start giving access to your customers to tap into the data that is relevant to them. I can’t stress this enough — keep utility front and center. Flash, gimmicks, shameless marketing will be evident in a heartbeat. If you want your customers to stay loyal, give them genuine utility and a true reason to pull their phone out when the house is slowly flooding. Gamification: create dashboards and performance metrics that show customer satisfaction, ticket time to resolution, accuracy, and safety performance. AR & VR Training: In some industries, training can entail a safety risk. By incorporating emerging visual technology into your training program, a technician can learn a new skill in a safe, controlled environment. Deliver details: The same system powering technicians can now give a more granular view of when things will be repaired. If you really want to go the extra mile, add an option for customers to opt-in to push notifications giving regular updates to when crews are dispatched, assessing damage, in repair mode, and of course, when repairs are completed. I get it, it can be daunting to jump into mobile. People are often held back by clunky systems, outdated back-ends, lack of expertise, or general fears of delivering a poor application. But just like the flood, what started with a pushbroom and a lot of cursing, turned into a full scale operation with flashlights, shovels, ladders, and a lot of elbow grease that ultimately cleared out the basement, and fixed the issue at the root — I’ll listen next time my wife tells me to clean the gutters before the spring-time truly rolls in. I would encourage companies to listen to their customers in the same way. It takes a clear vision and a well-constructed roadmap to take a company from antiquated systems to cutting edge — but don’t fear, it’s doable! If you ever need a hand, you know where to find us.